Thai Beverage - BUY; Bottoms Up! 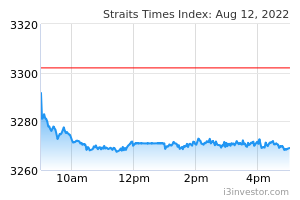 Maintain BUY, as we lift our SOP-based target price to SGD0.85 from SGD0.75 offering 19% upside, with 3% FY19F yield. Due to the loan restructuring with Vietnam Beverage, Thai Beverage now effectively owns 53% of Sabeco, the largest brewery in Vietnam – which rationalises our higher Target Price. We believe the worst is over for the outlook for alcohol demand in Thailand, as production growth has picked up since Oct 2018. Following the loan restructuring, THAI BEVERAGE PUBLIC CO LTD (SGX:Y92) now has the majority stake in Sabeco. We believe this move is positive to the group in the long run as Thai Beverage will have greater control of the business, allowing it to reduce Sabeco’s cost structure and increase efficiencies. This, however, slightly dampens near-term earnings, due to the absence of interest charged to Vietnam Bev after the loan restructuring. 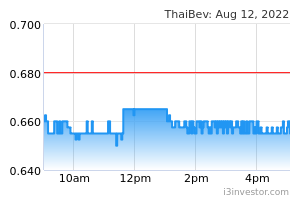 Thai Beverage was one of the worst-performing stocks in Singapore last year, with earnings impacted by weak alcohol consumption in Thailand. However, we believe the worst is over with beer production levels in Thailand bucking the negative growth trend, up 10.5% in October and 11.2% in November last year. This is a key indicator of alcohol demand, and we expect to see similar trends in consumption. Throughout 2018, overall rural income was dragged down by the underperformance of sugar, rubber and palm oil prices. That said, we note that the prices of these commodities have bottomed out, which should help to improve the purchasing power of farmers this year. In addition, while the long-awaited general election might see further delays, we have seen the government dishing handouts ahead of the election, which could help to boost near-term spending power in Thailand. Our forecasts remain largely unchanged as the increased attributable earnings from Sabeco and Thailand’s recovery in alcohol demand is offset by the absence of interest spread charged to Vietnam Bev after the loan restructuring. Bottoms Up, Thailand! Time to Drink Up Thaibev. We believe the worst is over for Thailand, as beer production figures turned around from the 13-month negative growth trend. Based on Thailand Office of Industrial Economics (OIE), beer production grew 10.2% and 11.2% in October and November last year. As the beer market in Thailand is dominated by Boon Rawd and Thai Beverage, we believe the increase in production figures signal that the top two players are seeing improving demand from consumers. One of the main reasons for Thailand’s low alcohol consumption in 2018 was poor rural income as some major agricultural commodities prices including sugar, rubber and palm oil were underperforming. Fortunately, the prices of some of these underperforming crops (Figure 3-5 in the PDF report attached) have bottomed out, which should be beneficial for overall rural income this year. While the general election could be delayed, we have begun to see government handouts being dished out ahead of the polls. Some of these include THB86.9bn of cash handouts and packages for the low-income segment and elderly, as well as other financial aids and subsidies to help farmers. We believe these measures could help to alleviate their disposable income, which would in turn be positive for Thailand’s alcohol demand. We raised our SOP-derived Target Price to SGD0.85 after factoring the 53% stake in Sabeco, post loan restructuring with Vietnam Bev. Refer to the PDF report attached for the breakdown of SOP target price which includes valuation of Thai Beverage Core Business, FRASER AND NEAVE, LIMITED (SGX:F99), FRASERS PROPERTY LIMITED (SGX:TQ5) and Sabeco.